Home > Features > Transfer Rumors: Martinelli, Bailly, Sarr…who will join Arsenal this summer? Transfer Rumors: Martinelli, Bailly, Sarr…who will join Arsenal this summer? The transfer window is closed, but this doesn’t stop the scouts and the management of Premier League teams trying to negotiate and analyze potential transfers ahead of the summer. Of course, Arsenal is not an exception and as a team that is trying to build a side capable of challenging for the Premier League, they are looking for top players to bring to north London. So, what can we expect this summer? Who are Arsenal looking for at the moment? Get more information about potential transfer targets in this article. It seems that Arsenal are planning strengthen in defence and attack this summer. First of all, they have reportedly shown interest in Eric Bailly, the young Ivory Coast international who plays at centre-back. The 24-year-old has spent the last three seasons at Manchester United after joining from Villarreal in 2016. He started well but struggled to establish himself under Jose Mourinho due to a loss of form and injury problems. Now, Ole Gunnar Solskjaer is seemingly open to the idea of selling Bailly and Arsenal are eyeing a summer swoop. If the centre-back manages to steer clear of injuries, he could prove to be a shrewd piece of business if Arsenal were able to get a deal agreed with United. Arsenal are also eyeing another forward and Gabriel Martinelli has been linked in the media. The Brazilian attacker has spent the last four years in Ituano which is part of the Brazilian Campeonato Paulista. The youngster has just broken into the first team set-up and looks to be a real talent. Martinelli is just 17 so obviously Arsenal are interested in another long-term investment that will probably pay off in the future. 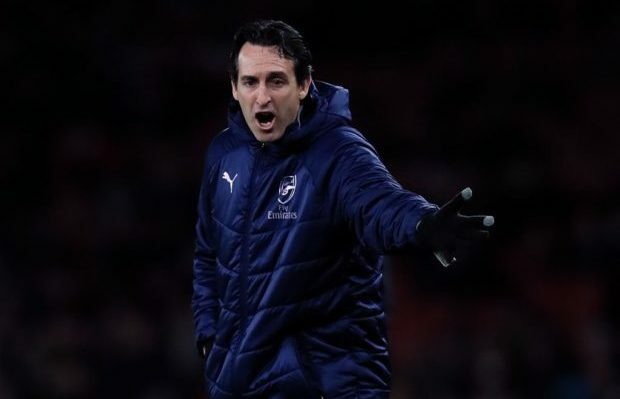 Arsenal have also been linked with Ismaila Sarr and got a close look at the attacker during our recent Europa League tie with Rennes. The Senegalese international has endured a frustrating time with injuries but he’s now fully fit and is a key player for Rennes. The pacey winger impressed during both legs of our last-16 tie and would add some goal threat to our attack if we lured him to the Emirates – although a deal is still a long way from being completed. Staying in France, Arsenal have also been eyeing a move to sign Christopher Nkunku in recent months. The 21-year old midfielder was strongly linked with a move during the January window but we failed to get a deal agreed with Paris Saint-Germain. Nkunku is a regular with the French U21 squad and has made 19 appearances for PSG so far this campaign. However, he’s unlikely to become an established player in Paris and with his contract due to expire in 2020, there’s a good chance PSG will cash in this summer if Arsenal make a decent offer.